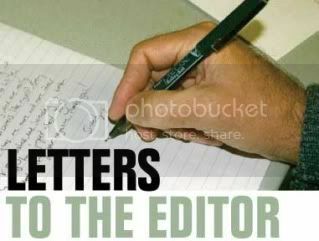 Two op-eds and some letters to the editor by WNPJ members. Please click on author to access the entire articles/letters. Eric Hansen: Tar sands oil shouldn't be shipped on great lakes. Allowing tar sands oil to be shipped on the Great Lakes would pose unacceptable risks to the region. In particular, it is heavier than typical crude oil, and in the case of a spill it would sink, possibly making it impossible to clean up. "Due diligence is in order. Have our state and region done a systematic in-depth analysis of the broad implications of the tar sands proposals? Or are we, one piecemeal permit application at a time, lurching toward a future sprinkled with crude oil mishaps?" The Capital Times, 4/29/14. Eric Hansen is a WNPJ member. Please click on titles to read the entire stories. Green Bay sisters are going solar for convent: The Sisters of St. Francis of the Holy Cross are building a large solar facility at it's Green Bay convent. Included in the plans is a foot path designed to educate the public about solar energy. “We hope the community, school groups and business will find the site educational and will be inspired," said Sister Donna Koch, president of the Fransiscan community. The Green Bay Press-Gazette, 5/6/14. The Sisters of St. Francis of the Holy Cross is a WNPJ member group. Despite the recent (and very welcome) thaw, Mike McCabe calls for more sunshine and Voces de la Frontera for more compassion. Click on titles to read the entire stories. Community members, leaders attend Fast for Families forum to talk about immigration issues. Voces de la Frontera is hosting a Wisconsin tour of Fast for Families, a group promoting awareness of immigration issues, connections between immigrants and non-immigrants, and immigration reform. WNPJ members remain active. Please click on titles to read entire articles. As the song goes, "Give Peace a Chance." The Dane County United Nations Association just named Dr. Vincent Kavaloski its Global Citizen of the Year. Dr. Kavaloski, a professor of philosophy at Edgewood College where he specializes in the Philosophy of Peace. He has dedicated much of his career to teaching nonviolence. "Obtaining peace through non-violent means takes work," Dr. Kavaloski says. "You have to work hard against the war movement if you want peace." J. Patrick Reilly, The Dodgeville Chronicle, 2/20/14. The Dane County UNA is a WNPJ member group. February has been frigid, but WNPJ members and groups stay active. Click on titles to read the entire stories.